We are delighted to invite back the ladies of Beautiful Chorus for the eighth year. Their vocal performances, Resonance Meditation, and gift of song create a truly powerful experience for our conference attendees. Enjoy listening and participating in song with Beautiful Chorus throughout the weekend, with a special musical meditations on Friday evening at the Tiki Hut and Saturday afternoon at the Art Stage in the Marketplace. Mz. 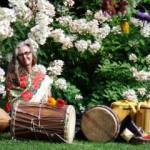 imani is committed to an inclusive sense of earth based spiritual practice that encourages all people to return to their heARTs wisdom, and to explore the ceremonial roles of the drum, music, dance and art. 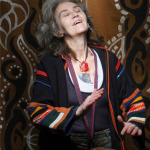 She inspires us to actively engage with the spiritual energies of the universe, through community music, collaborative art, collective prayer and the co-creation of positive myths. 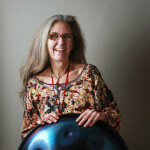 She is a collaborator and works with people of all walks of life to activate a Living Prophecy of renewal, respect and harmony, and takes care of a Sound Chamber in Swannanoa, NC. Mz. imani is a people’s artist, who consciously blurs the line between performance, art and ceremony. 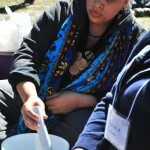 She calls our attention through the power of the drum, our collective imag-i-nation and the dance of the sacred elements. 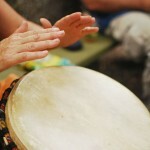 She invites and inspires the songs of our heARTs to come forward, while circumambulating the sacred fire. 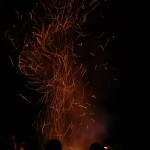 Here we open to contemplation and celebration of that which matters to us. That which may help the heART of Humanity to Heal. Enjoy listening on Saturday at dinnertime for a Courtyard Concert by the Dining Hall. 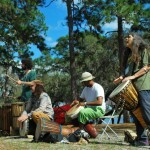 Sprouted in Miami’s tropical concrete jungle Julia and Buffalo’s love of nature and music cultivated love songs dedicated to their favorite medicinal herbs. 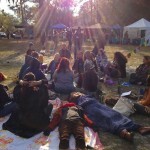 Materia Musica shares these simple songs that remind and inspire youth and people of all ages to connect with plant allies. Julia and Buffalo travel with Materia Musica throughout the Americas and grow a garden with the all the herbs they sing about in West Palm Beach, Florida. 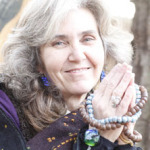 Julia Onnie-Hay is a herbalist trained in the Amazon rainforest of South America and greater Everglades watershed of North America (including the Florida School of Holistic Living!). With a professional background in nonprofit program administration focused on youth development and public health, she served as Director of Programs for two Girl Scout councils in South Florida and is the Healthy Schools and Communities Program Manager for the state of Florida with the Alliance for a Healthier Generation. 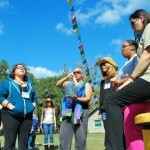 Julia is a budding ecotherapist currently engaged in graduate studies in clinical social work at Florida State University. Raised in Washington, D.C. and the Turks & Caicos Islands, Julia calls her garden in West Palm Beach, Florida home. Buffalo Brown is a celebrated Dominican-American musician born in New York City and raised in Miami, Florida. He has traveled the world as a guitar player with many Magic City-based bands including Elastic Bond, Agape featuring Nadia Harris, Periphyton, Cog Nomen and Telekinetic Walrus. When not playing music, Buffalo contributes his healing powers and bilingual skills to managing a medical clinic. His latest musical project is Materia Musica with his wife, Julia. Enjoy a few of their herbalicious sounds on Soundcloud, and on Sunday at lunchtime for a Courtyard Concert by the Dining Hall. 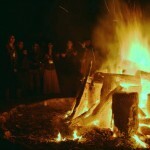 We gather around the campfire on Saturday night of the conference to share in creative collaboration. 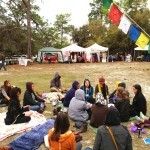 Bring an instrument and your dancing feet, and let’s celebrate our community and the earth in music and movement.